Wiz trades Jamison and Andray Blatche. Jamsion is an upgrade over dun and makes up for most of Murphy's rebounding, Blantche is a promising youngster that could play Center and PF. Getting rid of dun and getting Diogu the starting PF spot is major pluses. Wiz can have dun run some of the offense and Arenas play off the ball as a scorer only more often. Murphy becomes their most productive and consistent big player and O'bryant could be the Center they've needed in many years (maybe in two or three years). so in short.....Jamison for Dunleavy and Murphy? Im with it. I’m all for it. Getting Antawn back would be awesome, and I think he’d fit in perfectly! However, his 21-22 attempts per game would need to come down some. Not sure if Mullin would entertain it, though. But he should in correcting the mistake & problem at hand. It’ll be one of his best moves, if he does it. i like it. at least someone with talent takes a talented less spot on the roster. i'd like to see the team that player swapped for him during draft night spend another season with the team. CjR wrote: I’m all for it. Getting Antawn back would be awesome, and I think he’d fit in perfectly! However, his 21-22 attempts per game would need to come down some. Not sure if Mullin would entertain it, though. But he should in correcting the mistake & problem at hand. It’ll be one of his best moves, if he does it. No, no more big contracts, wanna sign Diogu and Ellis when they're free agents. John Patrick wrote: No, no more big contracts, wanna sign Diogu and Ellis when they're free agents. Yeah, but knowing the Warriors, if they get him they'll sign him to a huge contract. Jamison has a player option after next season, and I believe he’ll exercise it in 07/08. That would buy us time in trying to reach a new and more reasonable contract. But more importantly, this move gets Dung’s and Murphy’s long-term contracts off the books while addressing the SF need. However, having said that, as you pointed out, Mig, we have concerns in resigning our young ‘uns. As for Ike, he’s good for while (around 3 seasons or so) with team options. But Ellis is up after this year, so he definitely needs one. Taft is also up after this year, and if he’s healthy I know he will be very productive and needs to be signed, as well. We should be able to resign them (under Early Bird), so long as Cohan is willing to pay more luxury tax. 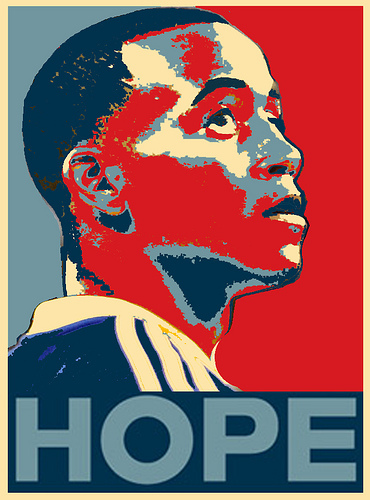 But at least he’ll be saving long-term with Dung and Murph out of the way--at least, till the next big signing. Agree. The young guys must be resigned so Jamison will either have to leave or resign for alot less. Getting Murphy's and dun's contracts out are a real plus because that will really open things up to resigning Diogu, Ellis, Biedrins and even Taft. We all love it... the only problem with this trade (and most trades) is that it takes two sides to agree. Why would Washington do it?. And what happens if Jamison doesn't want to come back to the team that traded him?. Welcome back, TMC. As you can see, things are exactly where you left off last week. About the Gizzards, well, they just lost Jared Jeffries (insert a multiskilled MDJ), Etan Thomas is not the answer and not a scorer (insert a potentially solid center in POB), and Murphy can take Jamison’s PF spot. (Jamison has an edge in points per 48 minutes (25 v. 20), but Murph is a better rebounder per 48 (14 v. 11), and with better FT% (79% v. 73%). It's still may not be enough to entice a trade, but I would offer-up Pietrus, too. He’s not getting resigned anyway, and he’s young, athletic, has marketable skills, and with no contractual baggage. Plus the Wizards love ex-Warriors! That should be reason enough in itself! As for Jamison wanting to play for the Warriors, Jamison is a pro’s pro, and he’ll play and give it his all if he’s traded. Fans love him in the Bay, he gets to play SF, so I think he’d want to come back and be a part of something he started and get this team into playoffs after 12 years of drought. With the pieces we have, I think he’d welcome the opportunity, to be honest.